The V3-STEALTH…Is based off the overwhelming popularity of the V3-Rocket. Inspired by input and requests from team riders and friends with the desire to extend the feel of theV3-Rocket into a board built around a more traditional nose template. 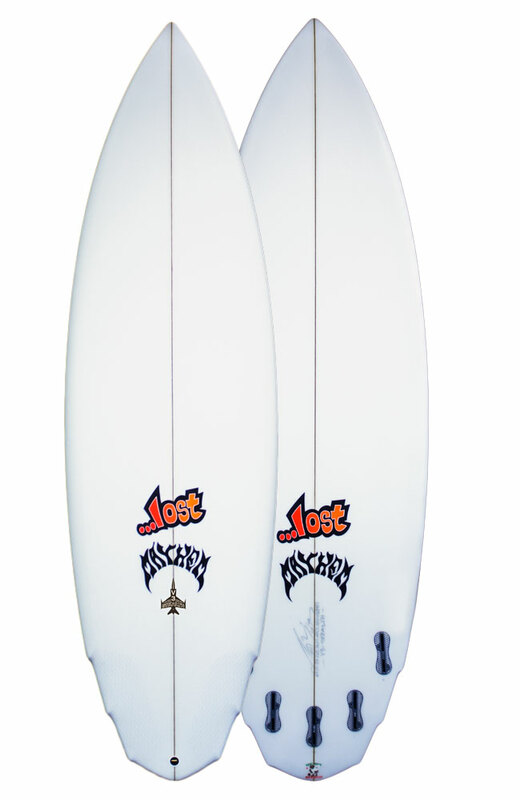 The desired effect resulting in a board blending the positive characteristics of the V3-Rocket, combined with the quickness, performance and visuals of a standard shortboard. Years ago we took the original “OG-Rocket” and pulled in the nose to create the STEALTH model, “stealth-ly” hiding a hybrid board into traditional forward outline. Today, we are doing it again, except with the V3. Technically, we added length and rocker to the nose, and pulled the forward outline in to more resemble a modern SB nose template. The tail has more pronounced, fluted wings and a more radical “Rocket” diamond at the end. The deeper wings add grip and control by reducing surface area. The flutes help the rail to permeate the surface, as well as reduce the rail volume, for more precise and surface permeating carving. The bottom still contains the V3’s relaxed centerline rocker, for glide and down the line drive, and a healthy amount of concave. The concave adds considerable lift, and creates a hyper curved rail rocker under the rear foot, allowing the surfer to turn freely and precisely when the board is rolled onto a rail. The V3-Stealth offers high speed, wide tail glide for fat faced fun, combined with the ability for fast, vertical, precise pocket surfing…in even marginal conditions. Ride the V3-Stealth 1-2” longer than a stock V3-Rocket. Domestic dims for the bigger, more conservative surfer, or for surfers who want to ride this design shorter in length. …Unlike classic parallel channels, these “R-4” Channels are fast and free in smaller to average surf, because they are toed in to work with the fins and encourage radical turning and create drive in tight radius arcs. Classic parallel placed channels go very fast down the line and feel great in powerful, driving surf (but tend to be sticky and track in quick turns). The two outer channels are aligned parallel with the front fins, angled towards the nose and the two inner channels are toed in a touch less than the outer two (similar to running inner quad fins with less toe than the front fins). All four fins angled to the same vanishing point up front, and radiate outward, with the fins, back through the tail. By simultaneously cutting through the curve in the tail rocker as it radiates out the tail, the “R-4C “ provides the sensation of added grip and drive. They speed through turns. The channels are fun, fast and exciting… and these ones excel in not only clean waves, but also liven up even soft and sloppy surf.